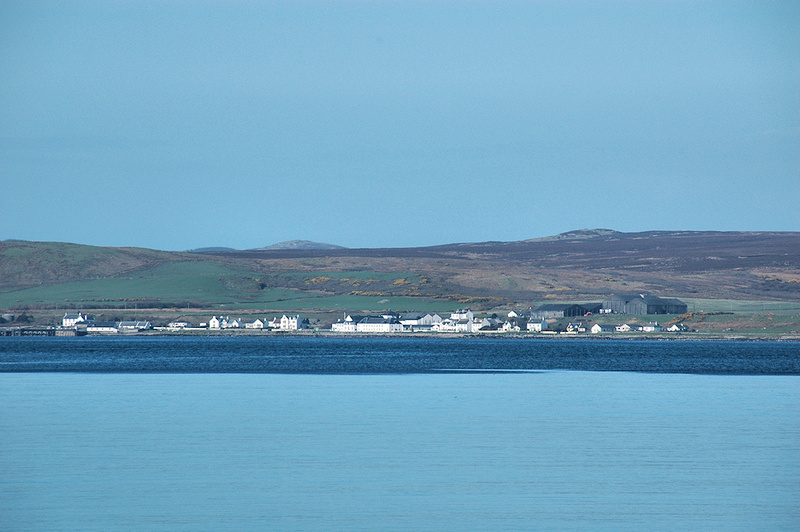 A view of Bruichladdich across Loch Indaal on a bright and clear April morning on Islay. Bruichladdich distillery in the centre, the warehouse on the hill towards the right. Bruichladdich pier on the left. I’m not entirely sure from where I took the picture, I think it was from somewhere between Carnain and Blackrock. This entry was posted in Distilleries, Landscape, Repost, Sea Loch, Sunny Weather, Village and tagged Bruichladdich, Islay, Loch Indaal by Armin Grewe. Bookmark the permalink.